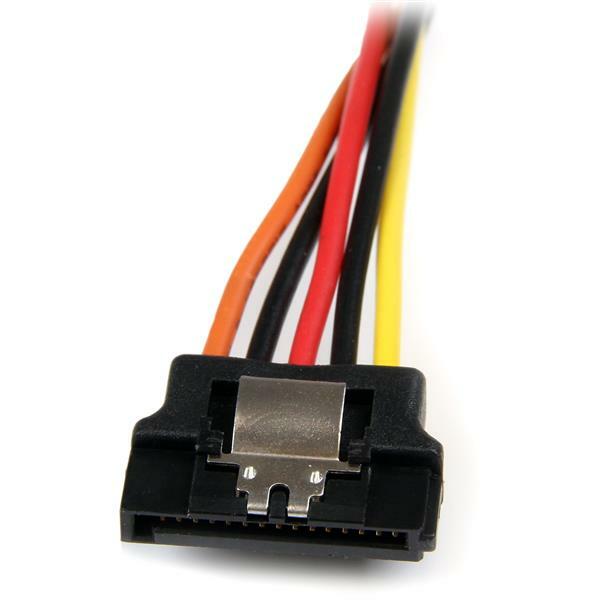 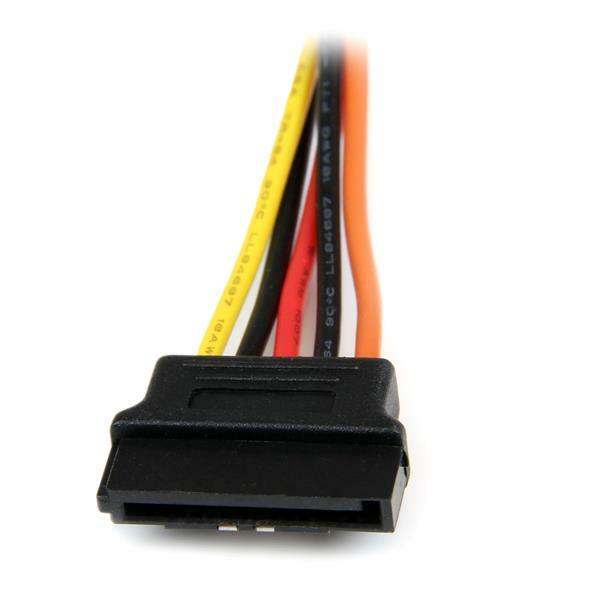 The PYO2LSATA 6" SATA Power Splitter Cable features a SATA 15-pin plug that connects to a single computer power supply SATA connector and breaks out into two latching SATA 15-pin receptacles, which enables you to connect two Serial ATA drives to a single SATA power connection on the computer power supply. 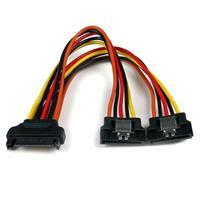 The latching SATA power connectors ensure a secured connection to the drives, preventing accidental disconnects, while the Y-adapter power split eliminates the cost of having to upgrade the power supply to accommodate an additional SATA drive. 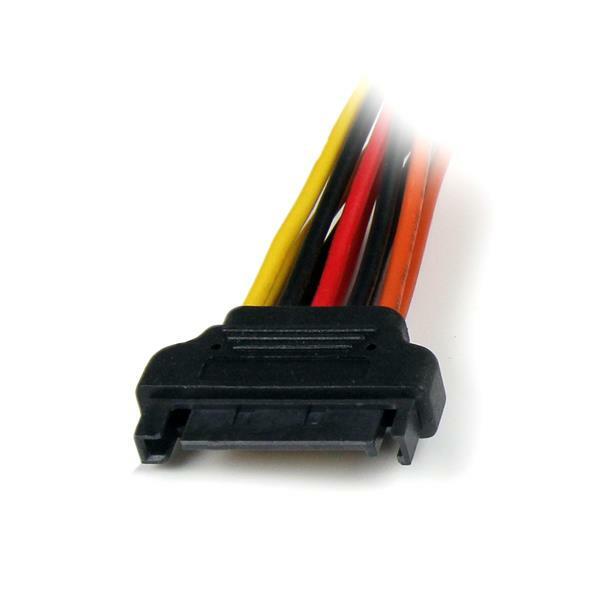 Backed by our lifetime warranty, the PYO2LSATA is constructed of only top quality materials and designed for optimum performance and reliability.